1. Student cohorts are grade by a single faculty individual whenever possible to facilitate detection of student-to-student plagiarism. 2. Faculty regular use Internet services such as Google book search, Grammarly and similar software to test phrases from student work against Internal publication databases. 3. Notices are attached to student records when plagiarism is detected. This signals subsequent faculty graders to be more vigilant for plagiarism. 4. GU administers clear policies for consequences of plagiarism, up to and including dismissal from the University. These academic integrity policies are published in its academic catalogs. See Penalty procedures. 5. 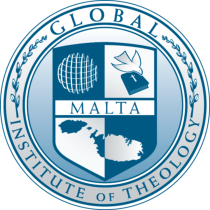 Global Institute of Theology uses Plagramme to check papers agains plagiarism. The following is embedded from GU’s website.